Ah….. 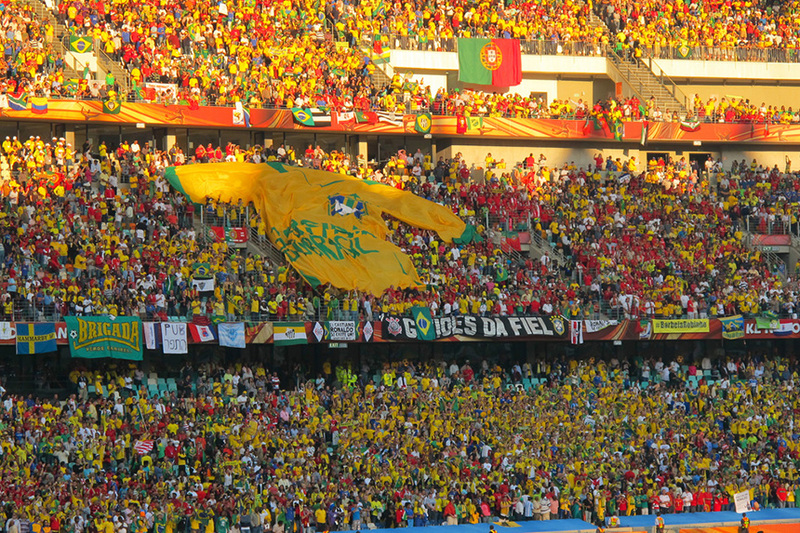 The 2010 FIFA World Cup. You can’t really blame us for getting nostalgic now that the next World Cup is about to take place in Brazil. It almost seems unreal to think that we hosted 7 World Cup matches that year, with the likes of Paris Hilton, Leonardo Di Caprio and John Travolta attending our stadium. 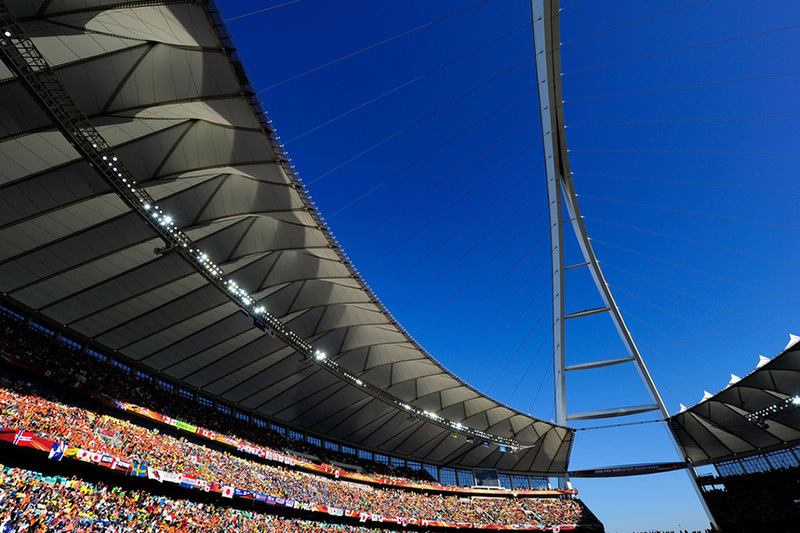 Thousands of people all over the world flooded into Moses Mabhida and the spirit felt at the games and in Durban itself was unlike anything you have ever experienced. All we have now, are the memories. 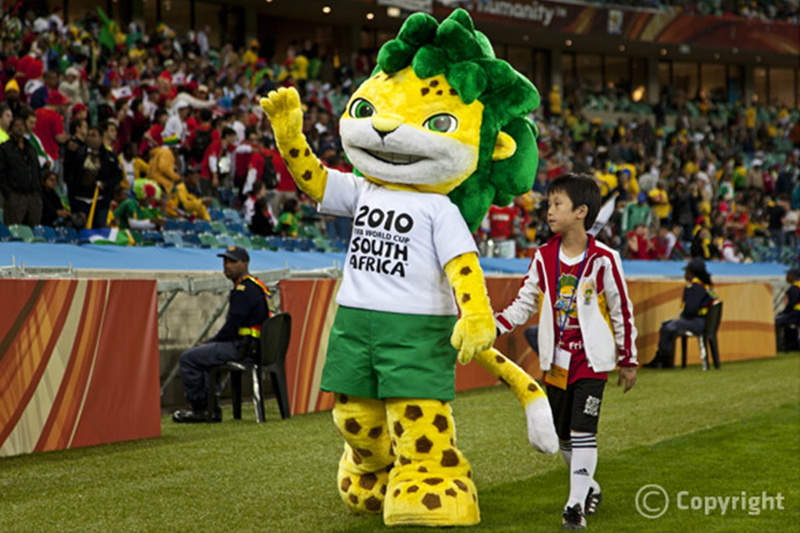 So it seems apt for us to share some favourite FIFA 2010 World Cup moments with you, a day before the 2014 World Cup kicks off! 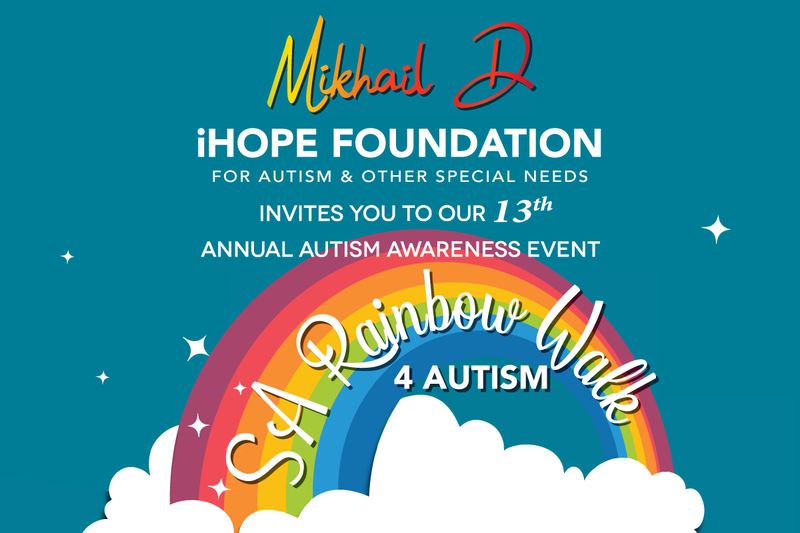 Feel free to send us yours, we would love to see them! In case you wondering where you can catch some of the 2014 World Cup screenings around town, check out the listing below the photos for places with a great vibe! 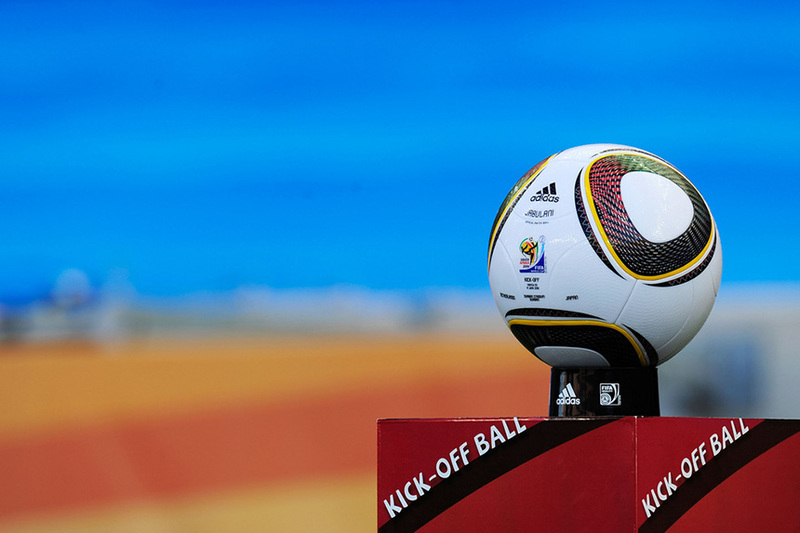 The Official FIFA 2010 World Cup Ball, Jabulani. 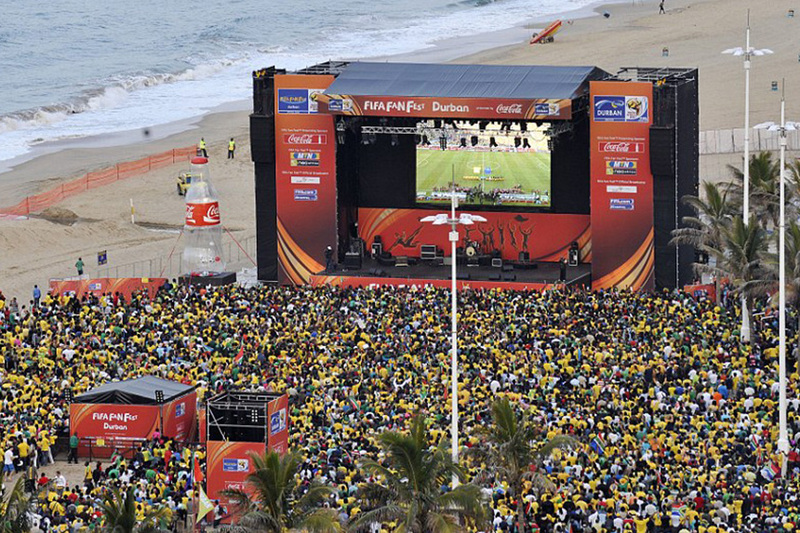 The FIFA FAN Fest at North Beach with over 20 000 fans watching the first match at the Durban stadium. Photo by John Showell, 25 June 2010. 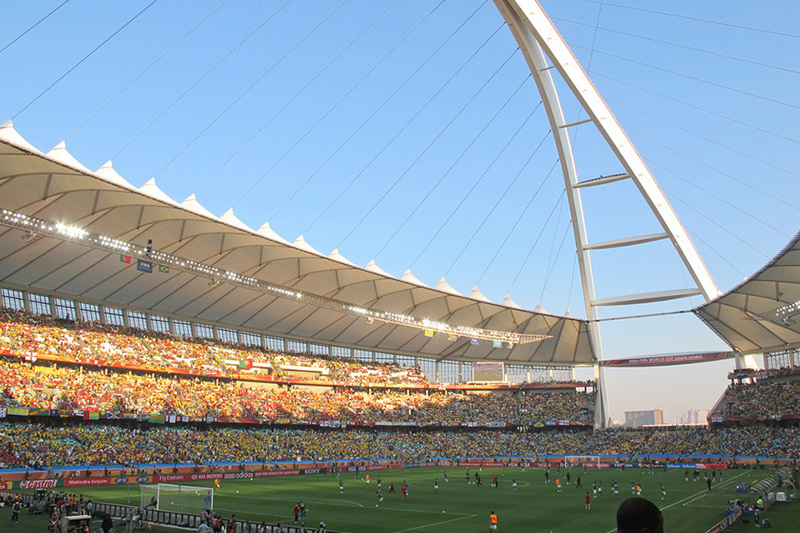 Crystal blue winter skies at the Netherlands vs Japan game in Durban on 19 June 2010. Spain having a team talk in the tunnel moments before the Spain vs Swiss game in Durban on 16 June 2010. 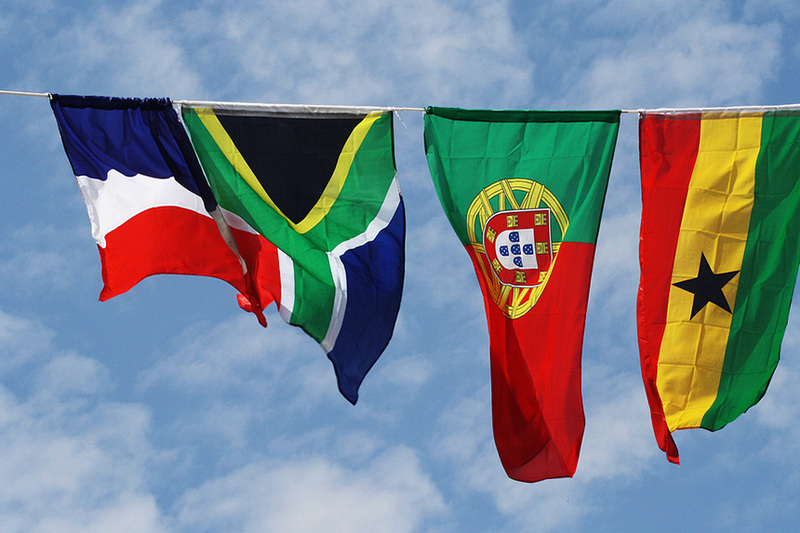 Supporters Flags flying high, somewhere in South Africa. 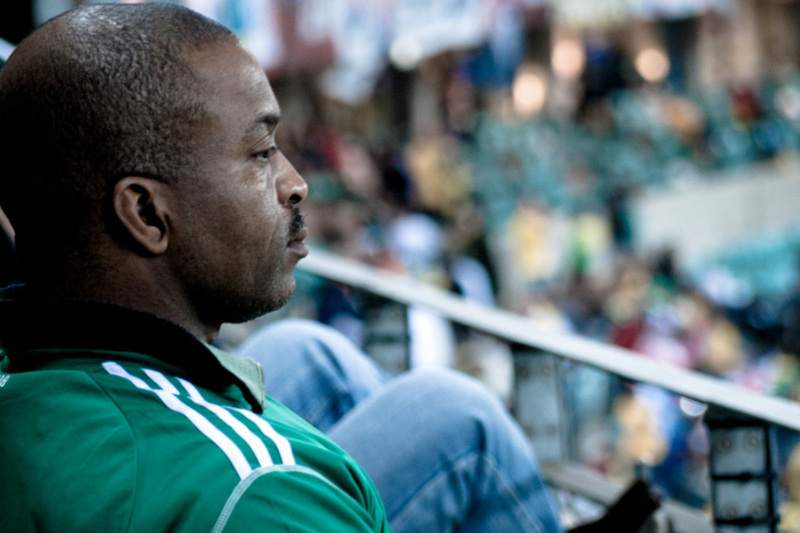 a Nigerian fan looking serious during the Nigeria vs Korea game in Durban on 22 June 2010. Looking out the window on a warm, sunny Winters Day in Durban during Brazil vs Portugal, Durban 25 June 2010. 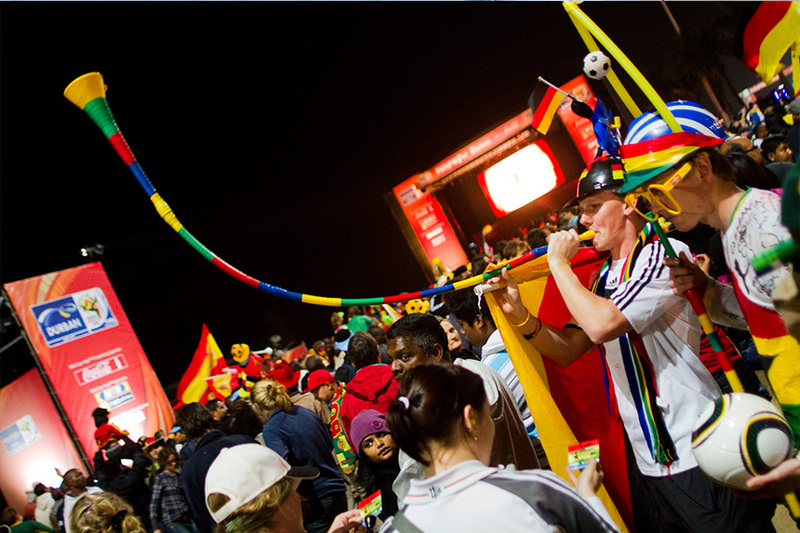 One of the FIFA FAN Fest Parks at night during the Germany vs Spain Semi-Finals at Moses Mabhida, 7 July, 2010.